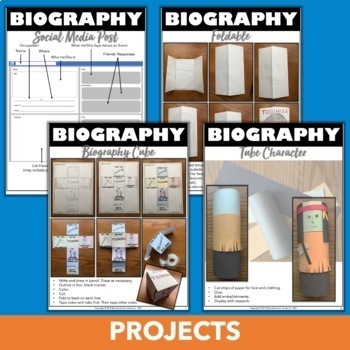 Looking for some biography projects? 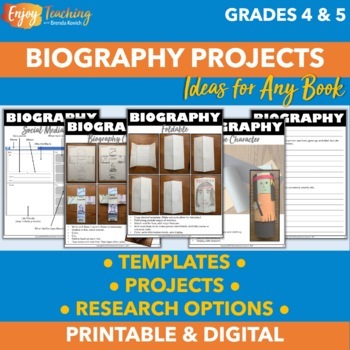 Kids love the simplicity of the biography graphic organizers - and the fun crafts. 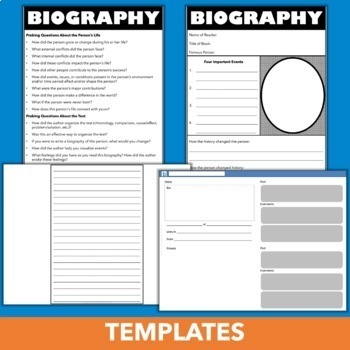 Teachers love the ready-to-print biography templates and creative ideas. It's a win-win situation. Easy – For the easiest research project, have students complete only one template on the person’s personal and professional life. Average – Ratchet it up with an additional page that asks how/why the famous person became involved in his area of expertise, as well as training and people who contributed to his success. Sophisticated – High flyers can create their own categories. Open-Ended – For divergent research, students create one or more webs. Explore Famous People – Distribute pages you’d like students to complete. Collect when complete. Investigate Famous People & Complete Biography Projects – Distribute templates. Choose a project from the list – or let students choose. Formal Informative Writing – Ask students to turn each section of their research into a paragraph. After adding an introduction or conclusion, use the stationery to write final essays. Display – or bind into a class book. 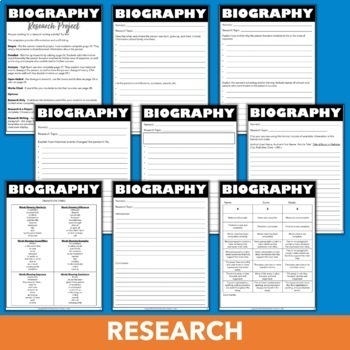 Take your study of famous people from ho-hum to amazing with these biography templates! Click Preview to see the entire resource.